Are You Living With Neck Pain When There Is A Non-Invasive, Drugless Solution? You might not be able to play golf, work, or even sit in the car for a 30-minute drive. It's almost impossible for anyone around you to understand how you feel. You can't remember the last time you even had a restful night's sleep. You've got too many dreams left undone to let neck pain slow you down. Too many special moments waiting to be experienced. Life is too short to let pain slow you down. Pain is your body's warning sign telling you something is wrong. Sure, you can numb the pain if you take enough Vicodin, Soma or some other pain pill. But if you mask the pain, it can prevent your neck from healing - maybe even damage it further. Not to mention many of the pain medications available are quite addicting and can have devastating side effects. Because of this, I’m running a special offer for neck pain sufferers. For a limited time, $49 will get you all the services I normally charge new patients $247 for! A thorough analysis of your exam and so we can start mapping out your plan to being pain free. …which position, mattress, and pillow you should use for a good night's rest. …how to exercise the right way so you aren’t making your pain worse. The offer is only good for a limited time. The appointment will not take long at all. And you won't be sitting in a waiting room all day either. For Most Neck Pain Sufferers, There Is Hope. You Just Need The Right Plan. Imagine how great you could feel without your constant pains. Imagine waking up each morning, jumping out of bed, and enjoying the day…no more waking up and feeling like you got hit by a truck. Imagine not having to take handfuls of pain pills that haven’t helped and can have side effects. To have a doctor finally tell you what's wrong and what you can do to help yourself feel better. Call anytime between the hours of 9:00 am and 8:00 pm Monday through Friday. Tell the receptionist you’d like to come in for the Special Neck Pain Treatment Offer. P.S. How many years can your body handle taking pills? Taking pain medications (even if they're over-the-counter pills) is no way to live. Pills don't "fix" anything, they just numb the pain. Finding the problem and fixing it has got to be your top priority! P.P.S. What Will Your Neck Pain Feel Like 1 Month From Today? Don’t let this be you, call me today and see if I can help you. "As a elementary school teacher I have had a lot of stress in my life. This stress seems to pile up in my lower neck and upper back and shoulders. I have sought many different treatments for this condition with temporary results at best. With the use of muscle therapy, joint mobilization, and spinal decompression my pain is gone and I have more energy overall. I would recommend Wellness First to anyone who is suffering from neck and shoulder pain. *Results not guaranteed. Individual results may vary. 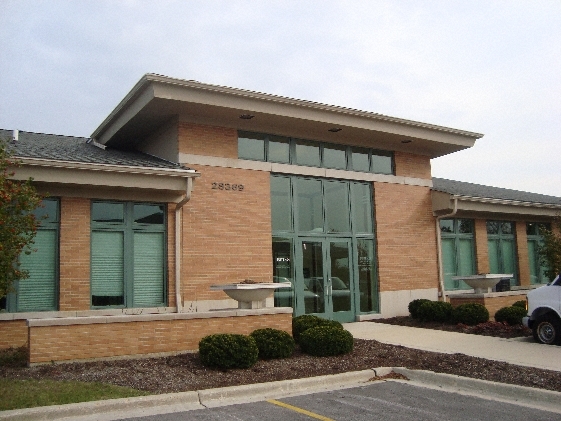 Call us with any questions or to schedule a convenient appointment at 630-425-2875.